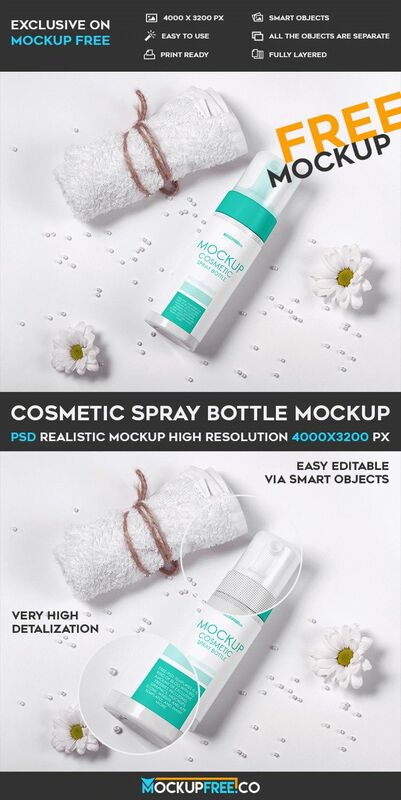 You are welcome to download this amazing freebie – Cosmetic Spray Bottle – Free PSD Mockup! Use it for creating presentations and interesting ideas. Use Photoshop to add on it the necessary design and enjoy the results!